PUGLIA from Otranto - Learn to COOK & MEET new international friends! 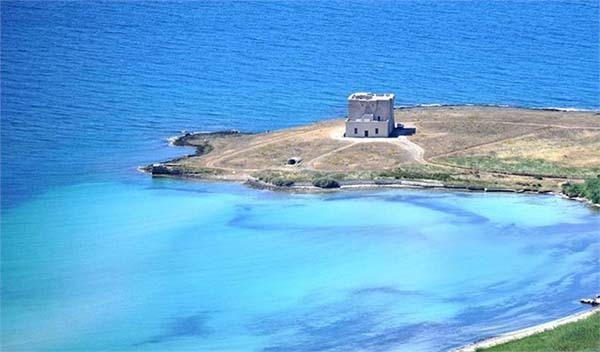 "Puglia seafood paradise": a unique guided tour to enjoy the sumptuous seafood & wine delicacies of Puglia, a true gem of the Mediterranean, and discover its stunning Unesco-heritage historic attractions and wonderful beaches. Day 1: flight Prague – Bari. We recommend Wizz Air early morning flight (operates on Tue - Thu - Sat), or you can fly via Rome or other cities. 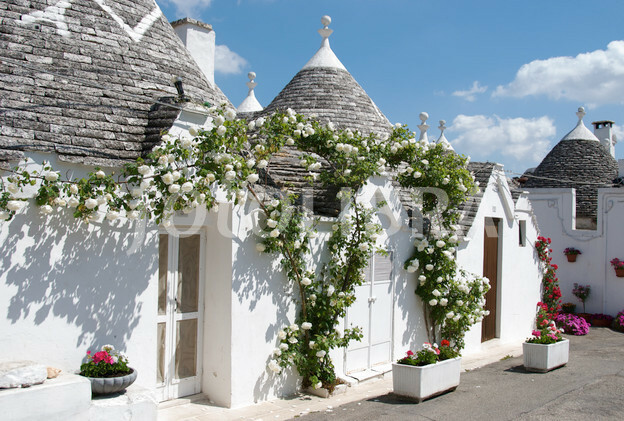 Pick-up in Bari airport by private minibus and accommodation in a cozy, elegant private flat in Monopoli, a picturesque small town with a gorgeous beach and a friendly, lively local scene. Visit of the historic center and tasting dinner in a local lively restaurant with sumptuous seafood dishes with crisp and fruity local wines. • Day 2: after breakfast, we head to Alberobello, famous for its unique prehistoric “trulli” buildings designated as a UNESCO World Heritage site. Tasting dinner with refined dishes in an elegant restaurant. 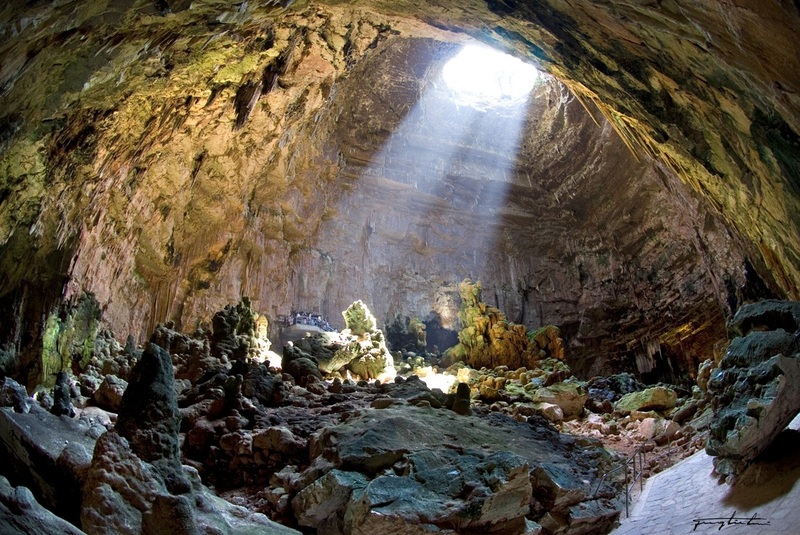 • Day 3: transfer across scenic landscapes dotted by olive trees to visit the stunning caves of Castellana, a world-class natural wonder. Lunch in Putignano tasting traditional recipes with the elegant modern touch of a master chef. After lunch, relax by the beach in the scenic "small Atlantide" of Capitolo beach. 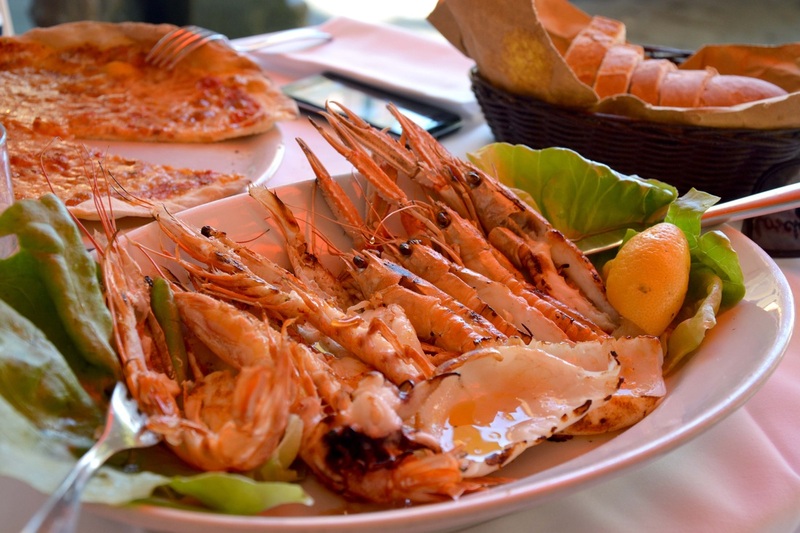 Aperitif-dinner in Monopoli to continue the exploration of the typical Pugliese seafood cuisine and enjoy its lively nightlife and friendly hospitality. 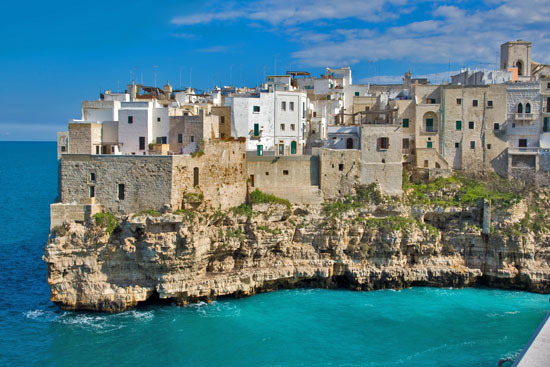 • Day 4 : visit to Polignano a Mare, a scenic seaside village perched atop a rocky outcrop, with an optional boat trip to admire the picturesque marine caves nearby. 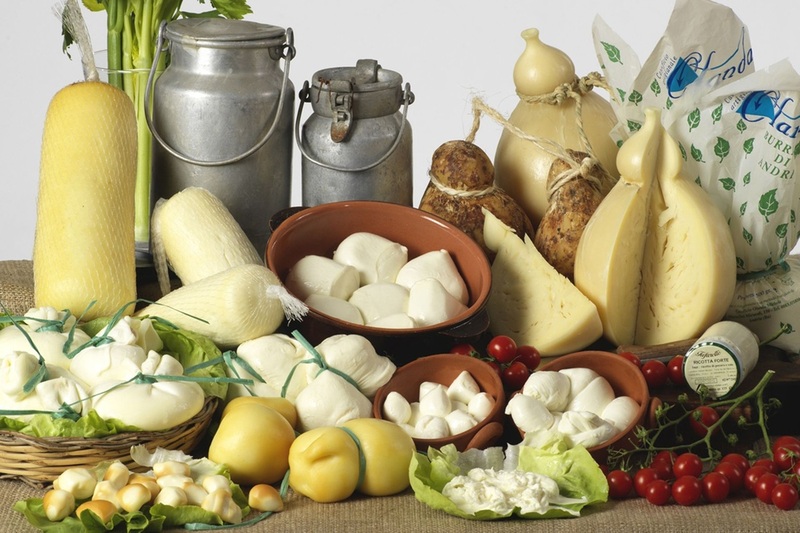 Visit to a traditional cheese producer to taste the famous "mozzarella", "caciocavallo", "ricotta" and more delicacies, learning how to prepare these traditional cheese hands-on. Free afternoon to enjoy the pristine beaches and return to Monopoli. • Day 5 : free day to relax and enjoy the magnificent local beaches. We are available to organise optional excursions like bicycle trips to ancient farms-fortresses among centuries-old olive trees, magnificent Maldivean-like beaches or Lecce UNESCO-listed baroque treasures with street food tour. Accommodation for extra days: € 90 per day / per double room. Price per person: Euro 750 (based on a group of at least 7 participants), otherwise Euro 850 (min. 4 participants). For smaller groups: quotation upon agreement.